Lasers revolutionized many industries, from manufacturing to medical procedures. Training workers in laser safety became a field of its own as a result. For more than 25 years, Ken Barat has been in the business of establishing safety protocols and keeping employees protected from injury. 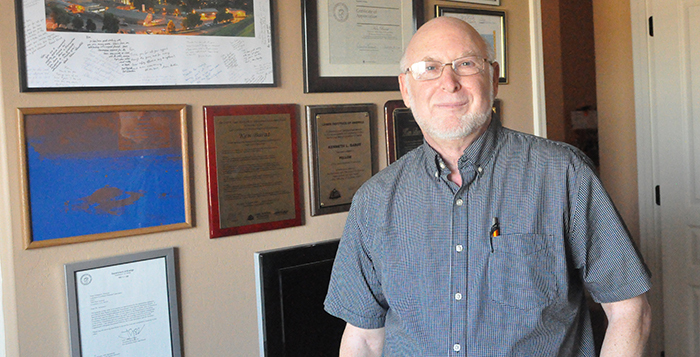 Barat established his own company, Laser Safety Solutions, in 2010 when he moved to Maricopa. LSS provides laser safety training and audits for companies and universities using lasers. The industry continues to grow in new areas, from movie projectors to car headlights. “One of the fun things about working in laser safety is I get to see all sorts of applications,” Barat said. Most injuries involve eye damage and skin burns. He said the laser was invented in 1960, and the first documented laser accident was in 1964. As a consultant, he offers suggestions to companies to make their work spaces safer when lasers are in use. It has kept him traveling a lot and meeting extraordinary people, like Nobel Prize winners, the boy from Brooklyn never imagined coming across. 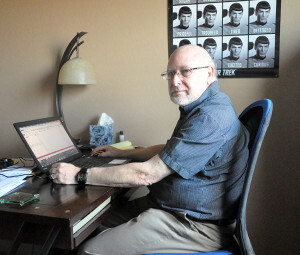 He was a part-time consultant for about 25 years before launching his own company. “My wife and I have family in the Phoenix area and after 30 years of being away from any family decided it would be nice to be near some family members,” Barat said. “Maricopa offered us a location away from Phoenix traffic and had all the amenities we needed, as well as being within an acceptable travel time to a major airport. The Barats use their home in Glennwilde as a base as he travels for his consultant work all over the country. He also gives presentations at national and international conferences and has published works on laser safety. He said some companies in the field do not want to spend the money on safety training until an incident occurs. “They think, ‘As long as I’m alive, I must be safe,’” he said. ►If you are satisfied with what you did yesterday, you have not done enough today. ►Don’t look at the laser with your remaining eye. Pet peeve: I do not understand why meeting expectations deserves an outstanding rating to so many. What is your best business tip/advice for new entrepreneurs? Have a plan but be open to new directions. Join local and national professional societies, read journals and trade magazines. What are you most proud of? Establishing the LSO Workshop series, Bay Area Laser Safety Officers Society and friendships with world-class researchers. Biggest regret: Not learning a second and third language, and no handyman skills.